I took and passed the multiple choice exam for the Force.com Advanced developer exam (DEV 501) today. This was my first attempt and I wanted to share my experience with you guys since this exam is a bit of a mystery. 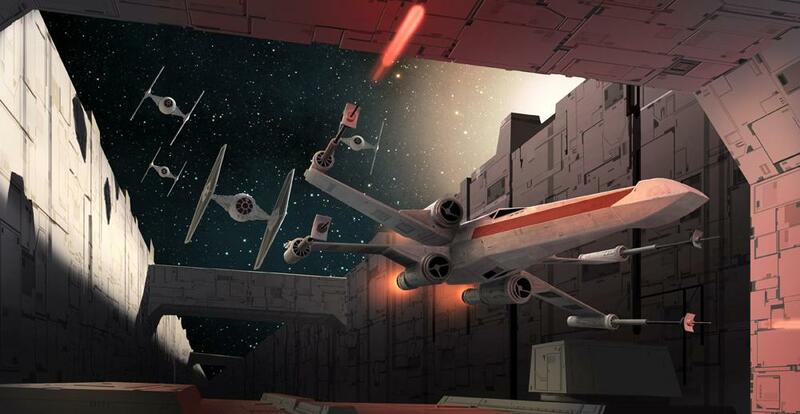 The Death Star trench run may seem a bit easier than the Advanced Developer exam at first! I have never failed an exam of any kind ever and felt that this exam would probably come close to breaking that record (Not that failing is necessarily a bad thing) but I guess this exam carries with it a reputation of being hard when in fact I found it easier than other Salesforce exams such as the Sales Cloud and Service Cloud exams. So what must you do to pass this exam? Firstly, DO NOT even think of attempting this exam without hands on programming experience on the SFDC platform. It will be an extremely uphill battle to pass and its very illogical as well if you think about it. 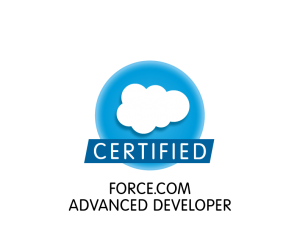 This certification is for seasoned developers who have at least 6 months of development experience with Salesforce. So if you don’t have this, then get yourself a developer environment and begin working through the Apex and VF workbooks and learn the platform. Pay attention to syntax, usage and best practices around writing optimal scalable code. If you have done quite a bit of programming in Apex and VF and feel comfortable about it, then you should be planning to take this exam. Many folks have said that you should be able to get half of the answers right in the exam based on your experience. I saw that this is 100% true. A basic understanding of APEX classes and triggers along with Visualforce should be sufficient to answer quite a few questions. The two main resources for this exam are the APEX developer’s guide (about 2100 pages) and the Visualforce developer’s guide. (about 750 pages). It will take a LOT of time to go through both of these. I did have access to the partner portal through my employer but I find studying from printed material to be more useful and so this is what I did. I focused on a subset of the important materials from these guides. It took me a day each to go thorough each one of these guides. Testing best practices – how to get 100% code coverage. Also quickly browse through the Force.com migration tool guide and pay attention to the file names and variables. How to delete stuff using the force.com migration tool. How to manage a multi developer and multi tenant development enviroment. How to move code from devleloper org to production and tool available for this. Here are the best resources for more information on planning your study. Link from Salesforce Stack-exchange 2 (This is related to the developer exam but has good general test taking advice. This question was posted by me. Look for the first answer by Peter). Sara Morgan’s blog post (Sara has posted GREAT information about the exam. She has posted invaluable notes for this exam too. Once you review the study guide and know the above topics well, you should be pretty well set and super confident to take the exam. 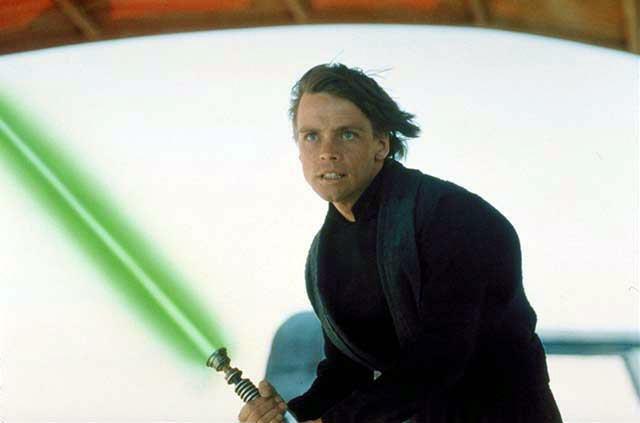 By this time, you would have acquired JEDI powers and can vanquish any question on the Advanced Developer exam. 1. Give yourself time to prepare if possible but if pressed for time, study the important topics by reviewing the study guide. Dont over exert yourself though. Be smart and focus on the important stuff. 1a. Choose a good study method that works best for you. Some old school folks like studying printed material, some love browsing in their tablets, some love videos, some flash cards (Though I am not sure which ones are the best) Whatever works best for you. 2. Get 6-8 hours of sleep before the exam. You need 100% of your brain power! 3. Don’t be nervous if you find some questions hard. The very first question on my exam stumped me real good. Not a confidence booster I know but you can get 18 questions wrong and still pass. There are 69 questions and you need 73% to pass. 4. BEWARE of sample questions online in dubious places. Some of them have wrong or outdated information. Instead focus on learning these important topics and you will crack this exam without breaking a sweat. Its probably a good thing that not many “sample questions” exist for this exam online. 5. Review your answers at least once (No brainer right). In my case, during my second review I could answer quite a few questions confidently which confused me during the first pass. Some later questions actually answered some of these so don’t worry till the very end. I took just about 1 hour to complete the exam, do a detailed review (border-lining on OCD) and waste a few minutes staring into the ceiling thinking of the latest Hobbit movie which I saw last week. So you should be be fine taking your time with each question. Always eliminate bad answers and use common sense in eliminating confusing answers. 6. Read questions carefully. Clues to the answers are right in front of you. 7. Do not attempt this exam with no study or no programming experience in APEX and Visualforce. So all the best with this exam. I look forward to the next step which is the programming assignment. I think that should be a formality for me as this step bothered me the most. I will surely blog about that as well and will keep improving this post. 1. There is a huge backlog for the programming assignment. 2. The demand for this certification is off the charts!!! Update: July 6: On March 24, 2016 I became an Advanced Developer. Read about the programming assignment here.